Into December, Woodbine manages to crank out a few stakes for Ontario-bred horses that missed the big events the other 11 months. The Autumn Stakes are on the precipace of winter but hold up as playable miles nonetheless. With only next week’s Cleveland Classic left for any major division members (we’ll cover the Northfield event next Thursday), the Autumns take over on the marquee. Meanwhile, we have the Cal-Expo no-takeout Pick 4, a victim of Nature’s tender wrath last week as it was fogged out. And we have more Watch List action and some great stats as compiled by our close standardbred-industry friend, Tim Bojarski. There are still elims carded this weekend at Woodbine for the Autumn Stakes, and on Monday, Dec. 5, two finals go to post on Monday, Dec. 5. On Dec. 2, a pair of contests decides the final for soph-filly pacers. It’s the first split we will support, featuring Twin B Miracle. Here is a gal we thought, based on the early part of the season and her frosh career, could make more noise than she made. She may be primed for this, having danced with a lot classier animals than most of her foes in this $25,000 event. On Dec. 3, two elims gather the Autumn Stakes soph-colt-pace’s final field. The Filion-driven colts in both of these elims are ones to follow. Adventure Bound, in the first split, gets the rail and a soft field. In round two, Justlikejessejames appears to be in fine fettle and ready to stomp on these guys. Monday, Dec. 5, soph-colt trotters are hosted in the $60,000 Autumn Stakes Final and frosh-colt pacers meet in a $50,000 conclusion. In the sophs affair, Oaklea Trace was 10-1 in his elim, making two moves to lead and still gaining against the two that beat him to the wire. 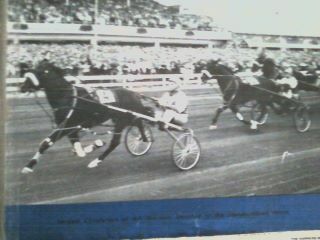 Also, Vimy Ridge made a pair of moves in his elim and won at 7-2. The freshmen triple should include Pansational, who finished second at 4-1, being nipped at the wire after a strenuous but speedy trip. Twin B Wrangler should return stronger after being a strong choice and Solid Performance gained to be third after a tiring opening quarter racing wide. Stats from Tim Bojarski, a popular figure in the standardbred press, are always fascinating. Though all statistics of this nature are hardly empirical, your interpretation of them over the long haul is what matters. Tim is accurate and precise compiling data, so here are his findings for your edification or entertainment, however you see it. 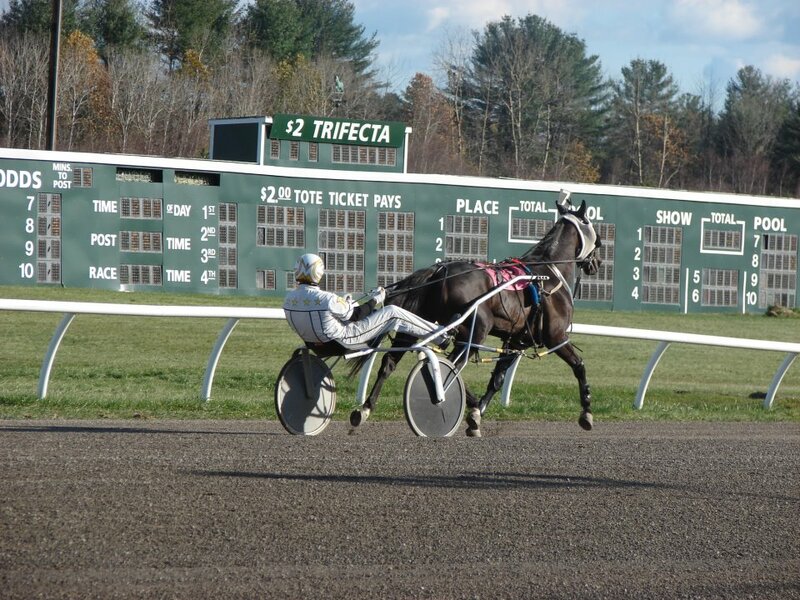 The hottest harness tracks for betting favorites are Freehold (47 percent) and Northfield (46 percent). Tim calls The Meadows a “diamond in the ruff” for public choices, coming in at only 39 percent (leaving 61 percent to second, third and so on choices). 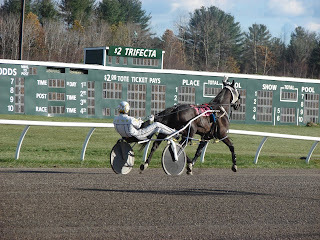 On half-mile tracks, Tim reports that more than 50 percent of the time the rail horse is in the money (Batavia is the high number at 59 percent). The exception is Maywood, where rail horses only hit the board 47.6, with horses from post-position 2 finishing in payoff spots 47.8 percent of the time). Maywood also turns out to be the best play on half-miles for outside-post victories. Post 6 has a 12-percent win figure (in the money 33 percent of the time). Post 7 has a 7.7-percent win clip (in the money 25.5 percent of the time). Post 8 has a 6.7-percent win clip (in the money 21.8 percent of the time). Now, we are looking at last week’s “Watch List” for horses yet to race or being given another shot. Your list can include any and all the tracks you can handle. You can use the TwinSpires Stable Alert feature to get emails of horses you are following on your list. Big Gus –broke early leaving from the 10 hole as the second choice. Island Tiger –scratched coming into a race as an outside contender. Omaha Survivor –was hung for two calls in a good effort. Count Howie –was a beaten favorite and fried when hung early. Fantasy Character –gained 7 lengths, suffered interference and still got second at 30-1. Rush N Supreme –had early foot with a strong brush then hung. Show Me Glory –was three wide to the top early, held lead to three-quarters and finished fourth at 59-1. The no-takeout late Pick 4 at Cal Expo for Dec. 2 is a challenge, since a mighty fog cancelled last week’s races and left all of the horses entered adrift for a week. Here are our best possibilities for this week, including some of our picks from the fogged-out ticket. (6) Whitman was a beaten favorite before having to take a week off and should be a sound single here. (1) Lakers R Electric won in the fog, before it became too dense to race that night. There is no chart of how he raced but we will add him here for good measure along with (4) Columbia Court, who was coming around to a good mile in the new meet. (7) Schemes has been racing well and could be the overlay needed to make this ticket worth more than 29 cents, so to speak. (6) Heelwin is priming for another big mile and we go again with (7) TJ Beach Poker, who was apt to return last week with power after a troubled trip but was scratched like the rest. As was (8) Jessalillpeace, who the week befgore closed stoutly to be second while being supported at the windows.